Graphic novels are long works of fiction that tell a single story from start to end; even a stand-alone series is categorised thus. Popular graphic novels in the global sphere include Neil Gaiman’s The Sandman and Black Orchid for DC Comics, Persepolis by Marjane Satrapi and Kill My Mother by Julius Feiffer, to name a few. Back home, Phantomville is the primary publishing house for graphic novels. Established by writer-illustrator Sarnath Banerjee and Anindya Roy, it has published a couple of books in this genre include Abdul Sultan P P’s The Believers and Naseer Ahmed’s Kashmir Pending. 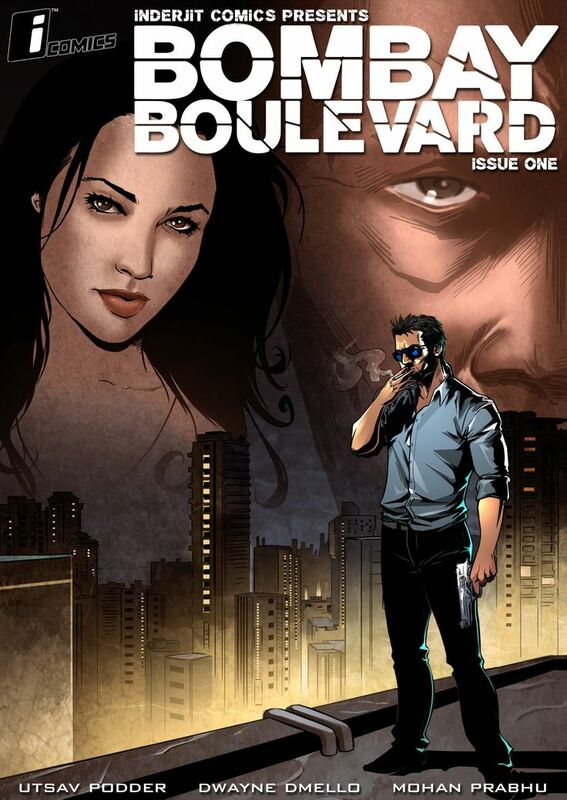 Bombay Boulevard by Inderjit Comics created quite a stir at Comic Con 2013. A series about the goings-on of the Underworld and its ugly labyrinth, the guys at Inderjit Comics collaborated with the folks at Division 91 to bring their story into a pictorial format. We spoke to head illustrator Utsav Podder and head colourist Dwayne Dmello about the process of bringing text to life and their experience while working on Bombay Boulevard. Dwayne: “Colouring is usually one of the latter steps in the production of a comic book or graphic novel, after penciling and inking, prior to lettering. Even before I get the inked pages from the illustrator, I familiarise myself with the script from the storyboarding stage, so that I can make sure the intention of the story comes through. Colour either can make or break a story. It helps you to immediately recognise the mood, situation or time, and sets the tone for the entire book. Q. Which was your favourite character to work on? Why? Q. Is any character modelled on anyone who is a part of your life? Q. Which character proved to be the most difficult to bring to life? Q. Which is your favourite graphic novel? One that you wish you were a part of?